WEST PEORIA, Ill. — Despite hitting a height allowance sign, the van continued into the wash.
WEST PEORIA, Ill. — According to www.pjstar.com, an oversized van that was too large for a carwash got stuck and only came free after dragging and damaging the machinery. 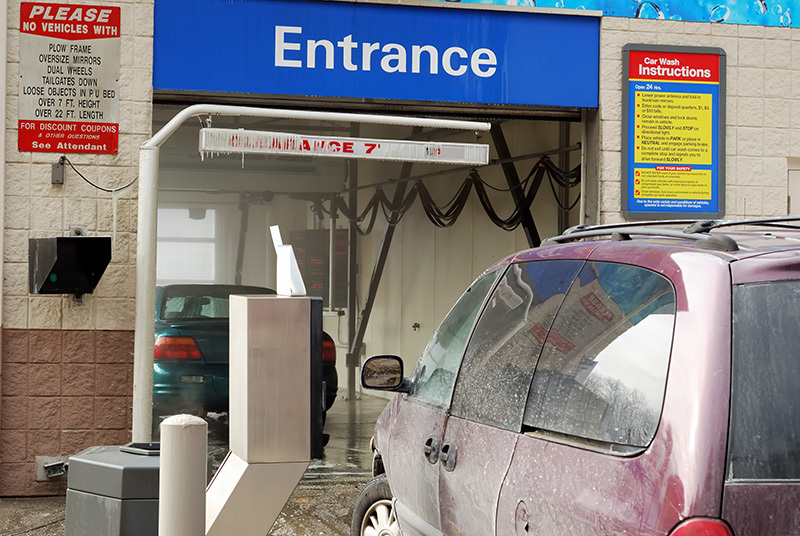 On April 24th, a van for a professional roofing company drove up to the automated carwash at the Circle K gas station at 3016 W. Farmington Rd., the article noted, and according to both a Circle K employee and surveillance footage, the van hit a sign above the carwash entrance delineating the height limit. However, the van pulled into the carwash despite hitting the sign and then stopped, the article continued; thereafter, the carwashing machinery began moving around the van, which proved to be too large. The report noted that while the van pulled out of the carwash’s other end, the machine itself was damaged and needed repair, the article added. The driver of the van contacted his boss from the lot and later told a Circle K employee that he was “in trouble,” the article noted. The police report did not mention any damage to the van or estimate the value of damages done to the machinery, the article concluded.